Pets are a great source of joy for their human families. 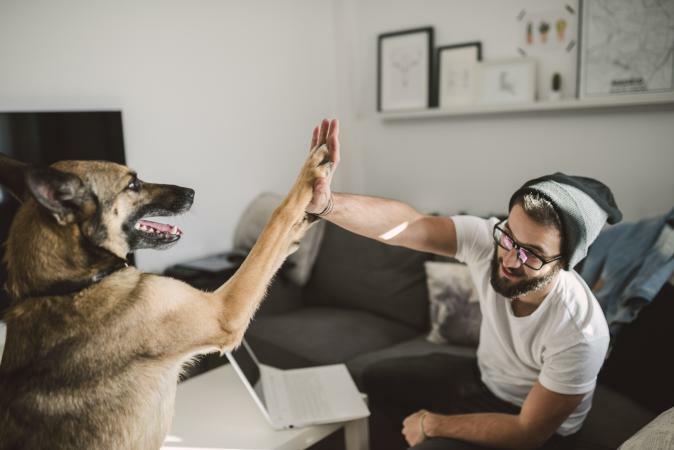 Before bringing one home, be sure to do your homework with LoveToKnow's pet information so you and your new family member can have a healthy, happy relationship. When you decide it's time to get a pet, there are many things you should research and consider first. Breed: Researching breeds is important because every household is different. If you're looking for a dog, you should find a breed or breed mix that fits your lifestyle. Children: If you have children in the home, it's important to find a pet compatible with the kids. A larger pet like a dog should definitely be family friendly. Purpose: Want a pet that does more than just cuddle? Hunting is an activity that requires a special breed of dog. Name: Once you've found the right pet for you, selecting a name will define your the pet for the rest of his or her life, so choose well! Be creative with these pet name ideas. There are so many types of pet food on the market and choosing the best one can be confusing. Quality Food: Pet food ranges from the inexpensive generic brands to high-end brands found at specialty stores. Learn about the types of food that are best for your dog. Holistic Diet: Some pet owners prefer to go the holistic route when feeing their pets. These foods are good healthy choices for dog owners. When you're ready, adding a pet to your life is incredibly rewarding. Make sure you take the time to care for your new friend with a quality diet, veterinary care, enrichment, training and lots of fun times! Best Love Songs of All Time By Patricia Lantz C.Ht.